30 years ago I was living in a small spa town in England. The cinema was located in one of the forgotten spa buildings, grandly named the Winter Gardens. Built in the 1930’s, in its heyday it was reputed to have the best sprung dance floor in the Midlands. Rows of seats were screwed to the floor to create the picture palace. 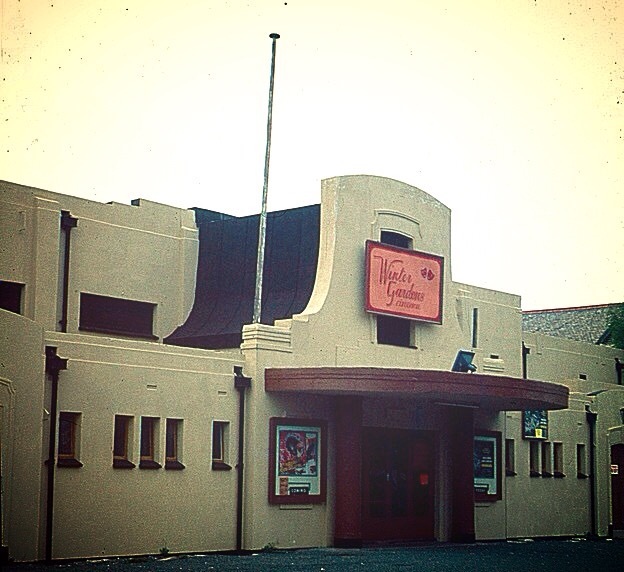 The building became a victim of redevelopment at a time of video cassettes and a general loss of interest in cinemas. I remember with dewey-eyed nostalgia, the musty smelling space with dampness pervading the air. The chill of the place lingered in my bones long after leaving. Those were the days; buying Kia Ora, toffee apples and cornettos from the usherette and watching cartoons before the feature film. My eyes smarted from the cigarette smoke fuelled haze caught in the oblong light stream from projector to screen. I’m sure I went to the cinema as a teenager more than twice. Yet there are only two movies that I remember seeing: Bedknobs and Broomsticks and Mad Max; significant given my interest in paganism and eventual move to Australia!